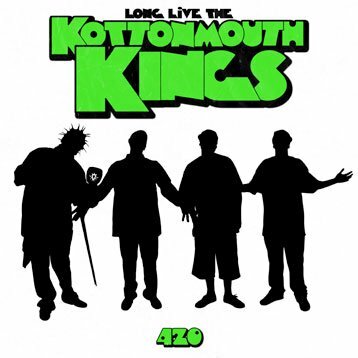 Tech N9ne is featured in The Kottonmouth Kings’ new single “Party Monsters” from their new album Long Live The Kings. “Party monsters, a special guest has just arrived! Please direct your attention to the red carpet; here comes none other than the most sinister monster of them all, Tech N9ne!” Tech spits the second verse over the beat’s restless synth-line that perfectly conveys the non-stop nature of the song’s party-all-the-time subject matter. This song is definitely a banger that encourages excess, debauchery, and the all-night clowning around that has become synonymous with The Kottomouth Kings. Click here for the free download and get your party started!